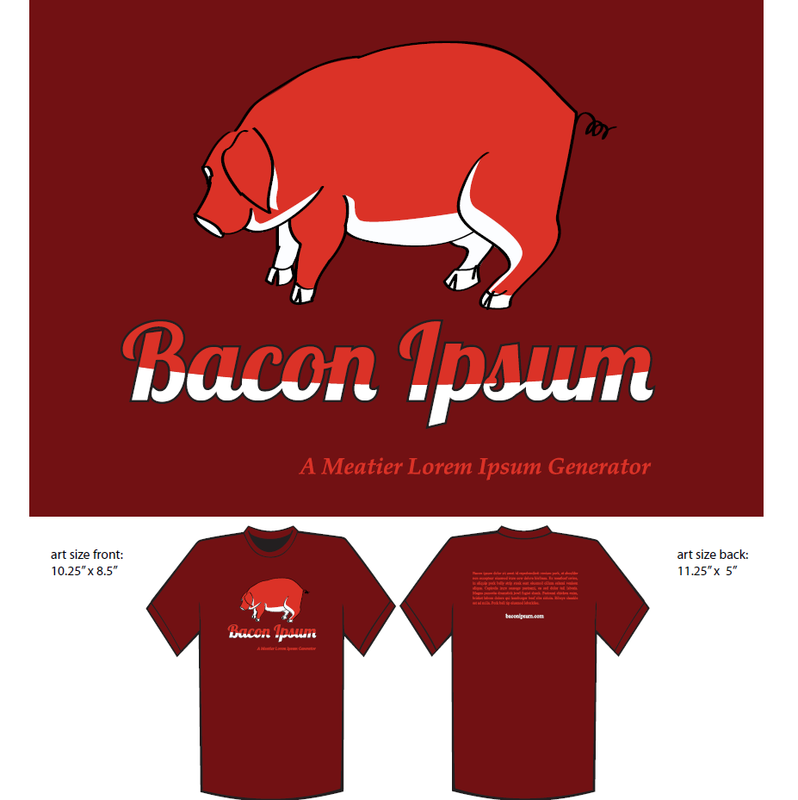 Our logo on the front and a paragraph of meaty bacon ipsum goodness on the back. I really just wanted a few for myself to wear at SXSW, but I’m getting a bunch made. If you want one, we’ll have them here, probably pretty cheap too. 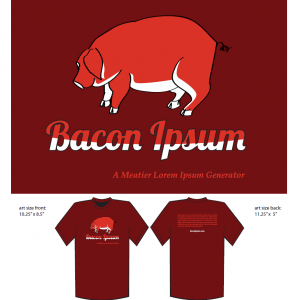 This entry was posted in Blog and tagged t-shirts. Bookmark the permalink. Guys or Girls – if you use a Bavarian speciality like Leberkäs/Leberkas, you should spell it correctly. Otherwise, two chicken wings up for the idea ^^.